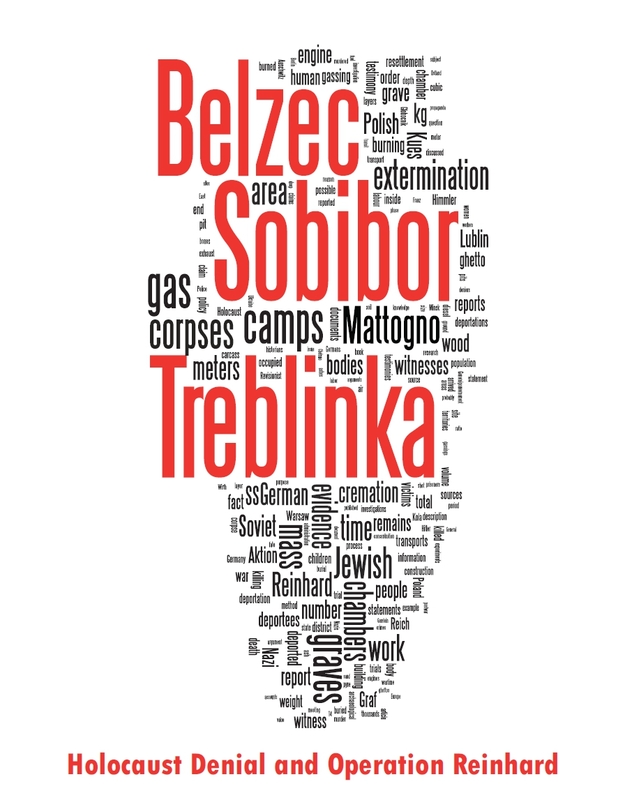 This is the first of a series of articles discussing Carlo Mattogno’s claims and arguments regarding mass graves at the Ponary mass killing site near Vilnius, Lithuania. It is based on the 153rd of my posts on the forum of the "Committee for Open Debate on the Holocaust" that was censored (i.e. "disapproved" or truncated beyond recognition, in both cases on the flimsiest of mendacious pretexts, or deleted after publication) since early July 2017 (the number would be higher if my job had not been such a hustle in the past months, leaving little if any time for pastimes both online and offline). Said censorship is further proof of what is already common knowledge, namely that open debate on the Holocaust is the last thing that said "Committee" is interested in and wishes to provide. Commendably none other than Friedrich Paul Berg, one of the least commendable exponents of Holocaust denial, expressed his opinion about CODOH censorship with unusual frankness. He gets points for that. That said, I move on to the first article of this series, which owes much to the gratefully acknowledged, very valuable input of my fellow bloggers Jonathan Harrison, Nick Terry and Sergey Romanov. Whatever can be said against the world’s foremost Revisionist scholar, Carlo Mattogno, it’s not that he doesn’t provide lots of evidence regarding NS crimes. This makes his books a useful (though far from complete) collection of evidentiary sources, if you only ignore Mattogno’s arguments in between quotes, which are usually not the most intelligent. Case in point, his recent two-volume work about the Einsatzgruppen, which so far is available only in Italian unless I missed something. In the following I will discuss some excerpts from the latter of these volumes (hereinafter "GE2", whereas Part I will be referred to as "GE1"), which deal specifically with body disposal at the Ponary mass killing site near Vilnius, Lithuania. The aforementioned Soviet commission, which consisted mostly of Lithuanians including a doctor of medicine, a professor of medicine and two other academics, stated to have conducted its investigation "from August, 15 till August, 26 of this year". Which year? There seems to be no date on the report, and in Yakovlev’s collection the report is dated as having been drawn up "not earlier than August 26, 1946". However, there are several reasons to doubt that the 1946 dating is correct. First of all, there would have been no reason to conduct a forensic investigation of Ponary more than two years after the site had been discovered by the Red Army. By that time reports of the Soviet "Extraordinary State Commission for Ascertaining and Investigating Crimes Perpetrated by the German-Fascist Invaders and their Accomplices" had already been submitted as evidence at the Trial of the Major War Criminals before the International Military Tribunal in Nuremberg, including prosecution document "USSR 7 – Report of the Extraordinary State Commission on atrocities in Lithuania". The Soviet prosecution had on 27 February 1946 introduced as evidence the testimony of Abram Gerzevitch Suzkever, who described the occupiers’ actions against the Jews of Vilnius and their transportation to Ponary in some detail, even mentioning the names of some key participants including Martin Weiss and "a certain Herring", who we will meet again below. On 26 August 1946 the Nuremberg Trial of the Major War Criminals was in its two hundredth and eleventh day and well into the presentation of the defense case, which had started in early March of that year. The judgment was issued little more than a month later. In this context it would have been completely pointless to conduct an investigation of the Ponary killing site between 15 and 26 August 1946, as there was no way that the results of such investigation could still be used by the Soviet prosecution at Nuremberg. Second, there had been an initial report about Ponary drawn up by Soviet officers and local residents on 14 July 1944 (which will be addressed below), followed by the interrogation on 7 August 1944 of witness Stanislav Stepanovich. On 14 August 1944 there had been issued a "Special Report of the 8th Department of the 4th Office of NKGB on Atrocities in Ponar", which consisted wholly of one or several eyewitness accounts. A forensic investigation starting on 15 August 1944 would fit nicely into this chronology. Photographs of places where peaceful Soviet citizens were destroyed in Ponary and Novo-Vileyka, near the city of Vilnius, Lithuanian Soviet Socialist Republic, August 1944. So it can be considered fairly certain that the report dated as "not earlier than 26 August 1946" in Yakovlev’s collection was actually drawn up around 26 August 1944. In the following this report will be called the "26 August 1944 report" for ease of reference, and the commission that drew up this report will be called the "August 1944 commission". Witness OSTROVSKI Edward testified that he saw light from the fires on which the corpses were burnt, from October, 1943 till July, 1944. All the evidences of witnesses and what was very widely spoken about during at the time of the German occupation among the residents of Vilnius, was proved by the examination of the Ponar district performed after the liberation of Vilnius and its vicinities by the Red Army. The Commission made the excavation of the pits in Ponar. From the round shaped pit 1, 34–35 meters wide and more than 5 meters deep, of capacity of 4,000 cubic meters, after removing the upper layer of the ground, mixed with ashes and burnt bones of people, 486 corpses were dug out and examined. After establishing the exact reason of death of the dug-out remains, which had a common character of death, further excavation of pit 1 was ceased. On the edges of the pit sand was removed from several corpses, and they were left to lie there. Thousands of Vilnius residents have seen the corpses. After the excavation of a round shaped pit 2, of capacity of about 2,000 cubic meters, no corpses were revealed in it, however, the ground had the odour of corpses, and particles of burnt bones were found in the sand. The bottom of the circular pit 3, with the same capacity as pit 1, was overgrown with grass. The pit had the smell of corpses, and its sand was mixed with burnt human bones. Near the pit there was a large amount of dentures. After the excavation of the pit, 27 tightly compressed corpses were found. In a ditch 100 meter long, 2 meters wide and 1 meter deep two corpses in military clothes were found. A total of 515 corpses were dug out and examined. Besides, in many places of the Ponar pine forest, in the surface layer of the sand, lots of burnt human bones were found. Burnt bones were found in pit 5 of capacity of 8,000 cubic meters, and also on the site prepared for communal graves of the exhumed corpses. Most of the dug-out corpses are local Soviet people. 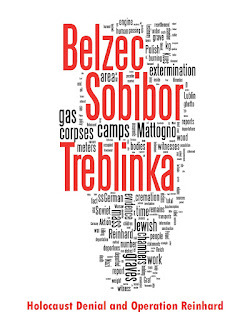 According to the documents found in the clothes, the majority of the killed people were of the Jewish nationality, the rest were Poles, Russians and Lithuanians. On some of the corpses Catholic and Orthodox devotional articles were found. The documents and objects found in the clothes of the killed people enable to establish that among the shot people were doctors, engineers, students, drivers, mechanics, railway men, tailors, watchmakers, dealers, etc. Some of the corpses were recognized by friends and relatives, for example, corpses of a Vilnius doctor FEHGUS, watchmaker ZALKAND, etc. Citizen SUTAN P.A. from Svencioniai recognized the corpse of his sister GRINEVA. The condition of the majority of the exhumed corpses testifies that they were killed by shooting in the nape. 1. Mass annihilation of people in Ponar was regularly conducted by the fascist aggressors from July, 1941 till June, 1944. 2. Annihilation of the population was performed in every possible brutal way: execution, tortures, beatings and burying of half-dead people in the ground. 3. In order to hide traces of their crimes, the Hitlerite bandits […] their exhumation and subsequent incineration on fires specially arranged for it. Incinerations began in the autumn of 1943 and proceeded till early summer 1944. 4. Considering the huge quantity of burnt human bones spread on the surface of all the camp area, the corpses found in the pits that were not yet burnt, and witnesses’ testimonies, the total number of corpses is determined to be no less than one hundred thousand. 9. Hauptscharführer WEIES Martin from Karlsruhe, chief of prisons of Vilnius. Supervised over the executions in Ponar. The reason for Mattogno’s first omission seems to be the information contained therein about documents and objects pertaining or related to the victims, the commission’s conclusion (based on such documents and/or objects) that most of those exhumed were Jews, it’s finds about the cause of death, and the fact that some of those whose corpses were found were recognized by friends or relatives. None of this goes down well with Mattogno’s subsequent calling into question the number of exhumed corpses reported by this Soviet commission, which will be addressed later in this series. As to the second omission, the name that is of particular interest is that of "Hauptscharführer WEIES Martin from Karlsruhe". The name of this officer, spelled wrongly by the Soviet commission, was Martin Weiss. Mattogno mentions Weiss only once when stating that evidence presented by Israeli historian Yitzhak Arad regarding Ponary includes "two pages from the trial of Martin Weiss […] before the Würzburg District Court in February 1950" ("due pagine del processo a Martin Weiss […] nel febbraio 1950"). • Case Nr. 192 (LG Würzburg 500203, LG Würzburg 670921). At the first of these two trials Martin Weiss was sentenced to lifetime imprisonment for the murder of at least 30,000 people by units under his command, mostly at the Ponary killing site near Vilnius, as well as several individual murders he committed by his own hand. Also sentenced was August Hering, who was obviously the "certain Herring" mentioned in Suzkever’s testimony at the Nuremberg Trial of the Major War Criminals. The 1967 verdict acquitted Weiss from one of the individual murder charges on which he had been convicted in 1950, the murder of a female singer. Weiss’ mention as one of the Ponary killers in the August 1944 Soviet commission’s report, and his later conviction in the German Federal Republic based on evidence obviously uninfluenced by the Soviets, show a convergence between independent sources of evidence (Soviet and non-Soviet ones) that Mattogno may have wanted to conceal from his readers. Carlo Mattogno, Gli Einsatzgruppen nei territori orientali occupati, Parte I – Genesi, compiti e attività and Parte II - L"'Azione 1005", both by Effepi Edizioni, Genova. The collection is available online both in the Russian original (Трагедия Литвы: 1941–1944 годы) and in the English translation also used by Mattogno. The report in question is reproduced on pp. 34-42 of the collection’s English translation, pp. 50-63 of the Russian text. Trial of the Major War Criminals before the International Military Tribunal, Volume XXIV, "Exhibits of the Prosecution", pp. 170 ff.). GE1, p. 174. The reference given for this claim (IMT, Vol. VII, pp. 120-134) is clearly mistaken. What Mattogno is referring to is the mention, in a German historian’s biography of Karl Jäger (Wolfram Wette, Karl Jäger. Mörder der litauischen Juden, 2011 S. Fischer Verlag GmbH, Frankfurt am Main, p. 169) of an investigation procedure against Schmitz and other members of EK3, which didn’t lead to an indictment due to Schmitz’s death and a lack of evidence proving specific criminal actions of the other inculpated (as opposed to a trial in which defendants were acquitted of charges brought against them). In fairness it should be said that Wette himself refers to a so-called "EK3-Prozess" ("EK3-trial"), though the context of this mistaken designation clearly shows that there was no such trial, for the aforementioned reasons. Wette mentions that besides the inculpated in that "trial" hardly one of the German perpetrators was called to account for the mass murder of Lithuanian Jews, but unfortunately fails to mention Martin Weiss and August Hering altogether. Needless to say, there is a difference between the gist of Wette’s statements and that of Mattogno’s. While the former laments the fact that few perpetrators of NS mass crimes in Lithuania were brought to justice, Mattogno calls such mass crimes, or at least their scale, into question. Mattogno should thus be expected to provide more complete information than Wette. For the reasons mentioned in the previous note, such trial never took place. Published in Justiz und NS-Verbrechen (JuNSV), Band XVII. Published in JuNSV Band VI. This settles the year question, it was 1944. The Lithuanian State Archives' presentation contains at least two wrongly captioned photographs. Images 10 is one of the the pictures taken by Hauptscharführer Karl Strott on 15 December 1941 in Liepaja, Latvia (USHMM Reel RG-14.101M.2304, images 707 and 708 ("Bild Nr. 619"). The same goes for image 11 (same reel, image 712, "Bild Nr. 621"). Image 9 I remember having seen several times, but never connected to Ponary (the square instead of circular pit suggests another place). The same goes to image 20. These mistakes lead to doubts about the Lithuanian State Archives' presentation, which is why I was reluctant to refer to information in that presentation. Regarding the AKT shown in image 41, however, they seem to be right, as all other indications also point to a 1944 dating. Their misidentification of events on photos is not quite analogous to them not knowing the date of the file the act resides in, so it doesn't call their dating into doubt. The dates are usually written on the file and if the file is multi-year the surrounding documents usually permit dating too (same does not apply to photo id). So based on the archive's dating alone it's 1944 until proven otherwise.